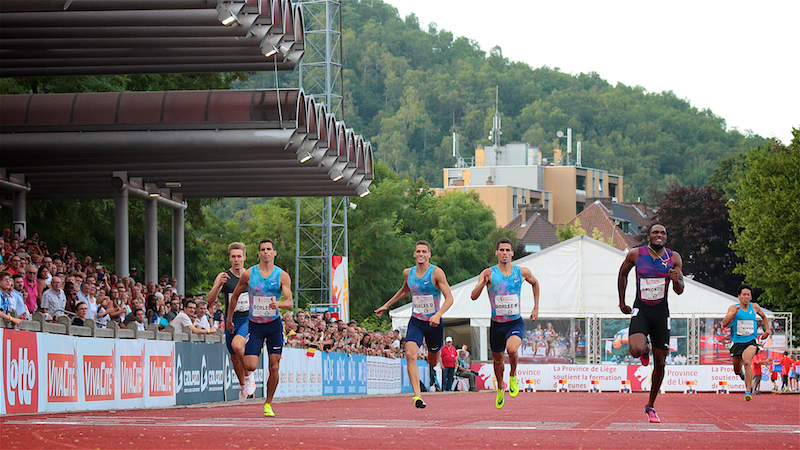 The 17th edition of the Meeting International de la Province de Liège is one that Arnaud Art will never forget. 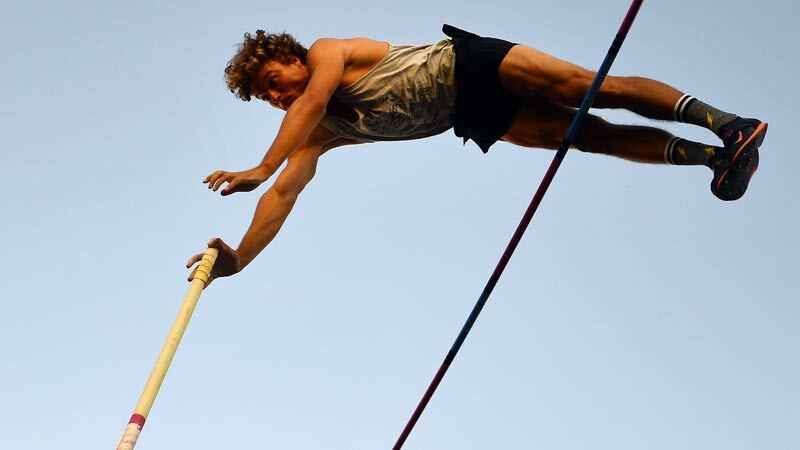 He cleared 5m72 in the pole vault competition, 1cm higher than his own Belgian record. And also for Eline Berings it was a nice (and speedy) night. Polish athlete Piotr Lisek fulfilled his status as favourite in the pole vault. He succeeded in his first attempt over 5m72, good enough for the victory. But all eyes were on Arnaud Art. After a difficult start -3 attempts for 5m31- Art grew in the game. Finally, at his second jump at 5m72, he catapulted himself over the bar. 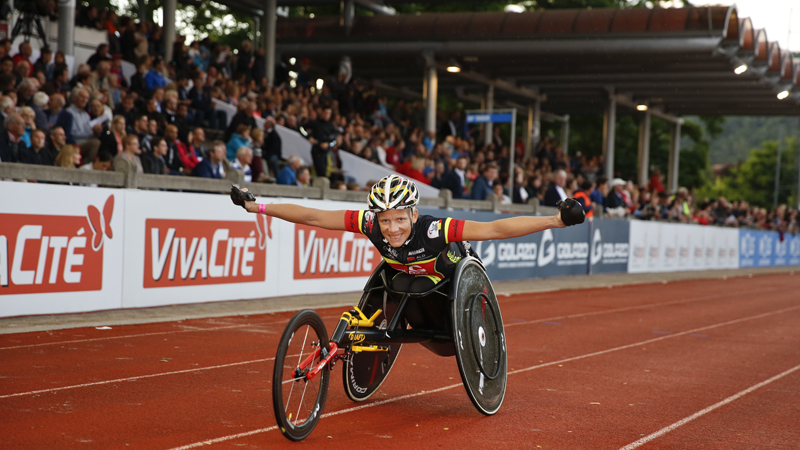 1 cm higher than his own Belgian record and a boost of confidence towards the European championships in Berlin! "I had a hard time in the beginning", said a very honest Art. 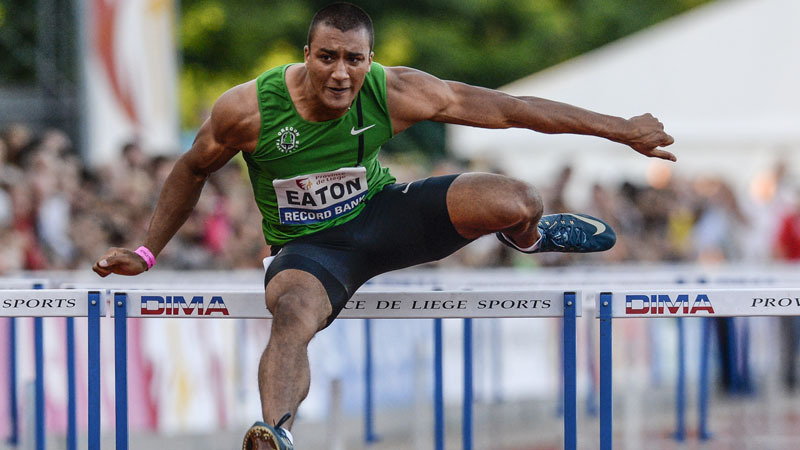 "But it feels so good to jump a new Belgian record here in Liege. 10 years ago I stood in the crowd as a kid. On the EC there will be more strong athletes. It will definitely depend on the shape of the day to perform well. And of course a portion of good luck is also welcome." Another great performance came from Eline Berings. She shredded her way through the 100 metres hurdles in 12.72 seconds. Only one hundredth of a second under the BR of Anne Zagré. Zagré is working on her way back after an injury and finished fourth in 13.21. She hasn't qualified for the EC yet. "I insist to thank the crowd for an amazing meeting. Unfortunately I didn't took the BR, but I hope I will in the future", said a smiling Berings. The unusual distance of 300m was won by Robin Vanderbemden with a PB of 32'44. Jonathan Borlée took the silver and the Frenchman Teddy Atine-Vetel completed the top 3. Dylan and Kevin Borlée finished in 5th and 7th position. "My first hundred metres were good, as usual" said Vanderbemden. "I didn't do anything special in the turn because I wanted to save energy. I knew the last hundred meters were going to be tough. I recently competed in two 400 metres races and now I did the 300 metres. That way I prepare for the EC, where I will run the 200 metres. With the EC coming closer I feel that my condition is getting better and better." The crowd saw a track record during the 3000 metres steeplechase. Caroline Tuigong from Kenya won in 9.32.68 (previous record 9.34.28). Lawrence Mel (USA) finished also under the track record and took silver with 9.32.68. The women's 200 metres was easily dealt with by Phyllis Francis. The 400m world champion won the 200m in 22'92, 9 hundredths of e second above the track record. The AG High Jump was the closing act of a wonderful evening. In absence of Nafi Thiam, who took precautions after she was stung by an insect, the Italian Elena Vallortigara won the high jump with 1m92. "I was looking forward to it, but unfortunately this year no meeting in Liege for me", declared the 23 year old athlete. "It is nothing serious, but my ankle is still a bit swollen after an allergic reaction on an insect bite. Three weeks before the EC it is not the right moment to take risks." Nafi Thiam comes to Meeting International de la Province de Liège!